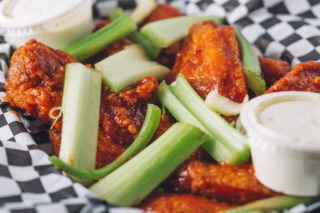 Try some of our delicious buffalo style wingers. 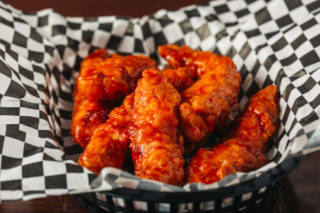 All of our chicken is fresh and available in any of our signature sauces. Click HERE for a list of our signature sauces. 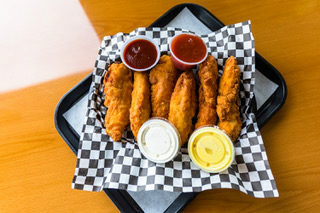 Golden fried chicken strips covered in one of the original sauces or served naked with honey mustard, barbecue, or ranch dressing on the side. Click HERE for a list of our signature sauces. Smaller version of old school tenders. Available in any of our signature sauces. Click HERE for a list of our signature sauces.